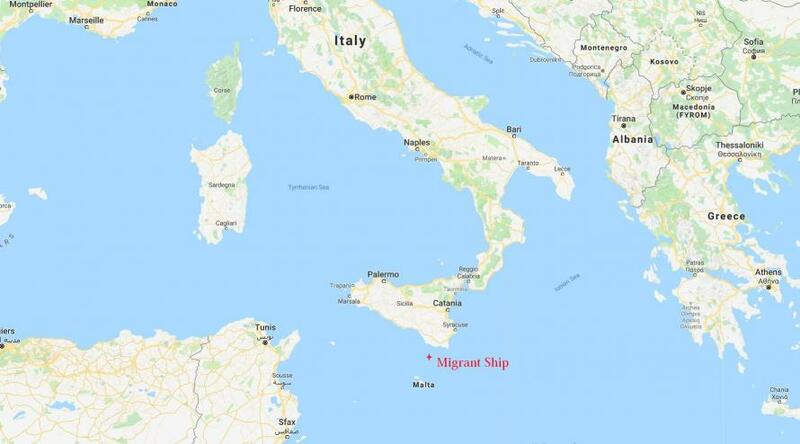 Italy's new populist Interior Minister, Matteo Salvini, has made good on his warning last weekend that "the good times for illegals are over" - writing an urgent letter ordering Malta to accept a ship carrying 629 shipwrecked North African migrants currently sitting off the Italian coast - calling Malta the "safest port" for the passengers, and advising that Rome will not offer refuge. Malta has not responded to Salvini's letter. If they do not agree to open their ports and provide relief - which they have been hesitant to do in recent years, the vessel will be stranded - setting the stage for an international crisis if they cannot land elsewhere. "Malta takes in nobody. France pushes people back at the border, Spain defends its frontier with weapons," Salvini wrote on Facebook. 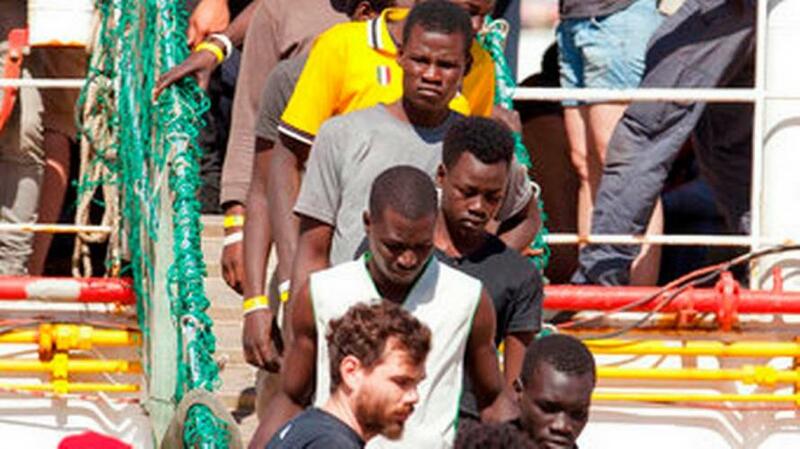 "From today, Italy will also start to say no to human trafficking, no to the business of illegal immigration." "My aim is to guarantee a peaceful life for these youths in Africa and for our children in Italy," Salvini said, using the hashtag #chiudimoiporti "We will shut the ports". The unprecedented decision to block entry was made by Salvini as well as Italy's Minister of Infrastructure, Danilo Toninelli, following several recent dockings - and is a signal that the country's new populist government will no longer bear the brunt of unchecked migration from North Africa into Europe. 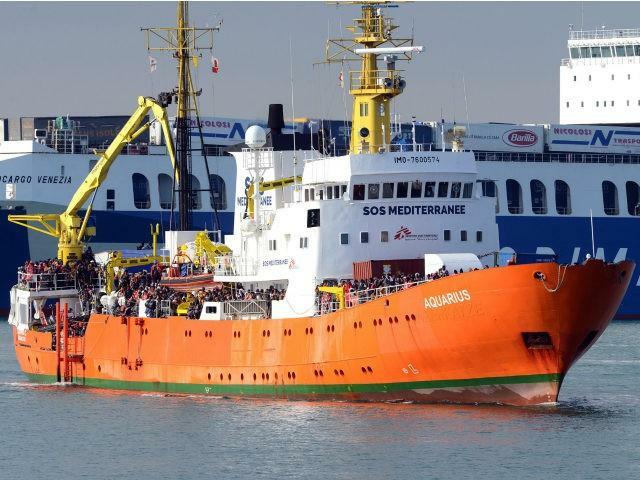 The pro-migrant NGO ship in question, Aquarius, belongs to SOS Mediterranee under the flag of Gibralter, and has been ferrying North African migrants into Europe for several years. Their activities have drawn the ire of EU nationalist groups such as Defend Europe, who have tracked and previously attempted to block the ship from reaching Italy. Last Saturday, the recently elected Salvini said "the good times for illegals is over - get ready to pack your bags," adding "Countries need to start doing their job and no more smugglers should be docking in Italian ports," a not-so veiled jab at NGOs organizing rescues at sea. "Italy and Sicily cannot be Europe's refugee camp," Salvini told a crowd in the vaction city of Pozzallo, a migration hotspot. "Nobody will take away my certainty that illegal immigration is a business... and seeing people make money on children who go on to die makes me furious," he added. 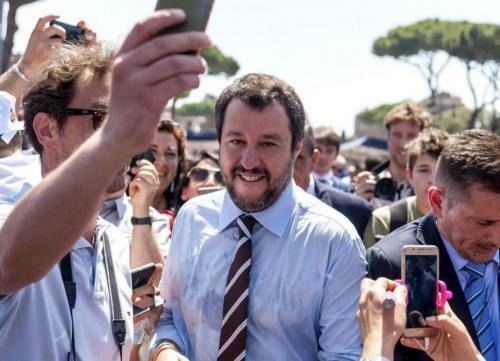 Salvini, the leader of the conservative League party, assumed his role as Deputy Prime Minister and Minister of the Interior on June 1. He is currently on the road to rally support for his party's candidates in the south of Italy, attending a rally last Sunday in Sicily - a prime destination for most of the hundreds of thousands of migrants which have poured into Italy in recent years, mostly from Libya. On Tuesday, Salvini met with EU interior ministers in Luxembourg to discuss the EU's controversial "Dublin" rule, which requires that would-be refugees file for asylum in the first bloc member-state they arrive at. The rule heavily penalizes Italy, which has accepted over 700,000 refugees since 2013.